ARUSHA, Tanzania, Apr 4 2014 (IPS) – John Daffi climbs to the top of a hill overlooking a scenic Rift Valley wall and the Ngorongoro forest, where wildlife migrates between the world famous Ngorongoro crater and Tanzania’s Lake Manyara. Daffi, 59, looks down upon his family’s farm below and reminisces about the time his father first brought him here as a boy. “Upper Kitete was a model farming village set up by the government of Tanzania. My father received a call while he was in Arusha from his brother in Karatu telling him to apply. We were selected as one of the first 100 families,” Daffi told IPS. In 1962, British agriculturalist Antony Ellman came to Tanzania and from 1963 to 1966 helped establish the Upper Kitete Cooperative Society on 2,630 hectares located in the Karatu district of northern Tanzania, about 160 kilometres from the city of Arusha. “It was a very exciting time as Tanzania just received independence and it was a real opportunity for aspiring farmers to have access to great land,” Ellman told IPS. Daffi’s father, Lucas, relocated his family from Mbulu village in Manyara region to Kitete village in Arusha region. The villagers selected began a social experiment, and distinguished themselves from other nearby villages with the name Upper Kitete. The cooperative movement pre-dates independence. Professor Amon Z. Mattee, from Tanzania’s Sokoine University of Agriculture, told IPS that the prosperity of cooperatives in the 1960s made the government want to create a level playing field for all. “Coops started in the 1930s for some of the cash crops like coffee and cotton and for many years up to the time of independence in 1961. They were really member-based and offered excellent services in terms of research, extension, inputs, profitable markets and even social services like education for members’ children,” Mattee said. Tanzania’s founding President ‘Mwalimu [Teacher]‘ Julius Nyerere started the village settlement programme where farmers were encouraged to work cooperatively hoping they would prosper economically. Eighteen months after independence in 1963, the Upper Kitete Cooperative Society was born and it continues to this day. “The soil was so fertile. We began farming cereal crops like wheat and barley. Now we’re much smaller scale and farm mainly maize and beans, our staple crops,” Daffi said. According to the Food and Agriculture Organisation of the United Nations (FAO), Tanzania remains primarily a rural country with an agriculture-based economy that employs the majority of the national labour force. Its economy is still highly dependent on predominantly rain-fed agriculture that contributes an estimated 30 percent to the GDP and accounts for 64 percent of all export earnings. Its main traditional export crops are coffee, cashews, cotton, sugar, tobacco, tea, sisal and spices from Zanzibar. Maize is the main food crop alongside sorghum, millet, rice, wheat, beans, cassava, bananas and potatoes, according to the FAO. “For the first 10 years Upper Kitete was on an upward path. People worked together willingly and life was improving for everyone. They continually had better yields, built bigger homes and the services improved as a result,” Ellman said. In 1974, the dream faded as Nyerere forced reluctant Tanzanians from urban and rural areas to move into villages causing environmental and organisational strain to existing villages like Upper Kitete. At this time, its population ballooned from 210 to 1,200 residents. A 2001 study by academics Rock Rohde and Thea Hilhorst called ‘A Profile of environmental change in the Lake Manyara Basin, Tanzania’ examines the stress put on the land due to government directives. “Ujamaa [Nyerere’s brand of socialism] aimed to move the entire Tanzanian rural population into cooperative villages and achieved this under ‘Operation Vijijini’ when land was redistributed and several million peasants and pastoralists resettled in new, more compact villages, often under duress. [It] had a profound social and economic effect, especially on the highlands of Karatu where wealthy commercial farmers were deprived of their land holdings,” the study states. Since then, Daffi has witnessed the land at Upper Kitete become scarce as it was divided into smaller portions for the growing community. This village of 500 people in 1963 is now a town of nearly 5,000. Now, the cooperative produces much less than it previously did because it has less land. “Even though the population has increased, the land hasn’t. Every inch of it is cultivated,” Daffi said. 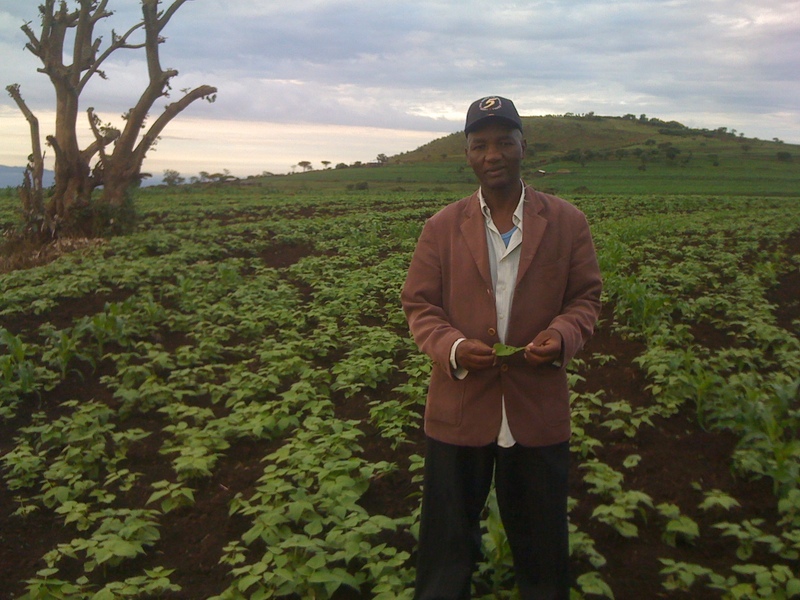 Mattee researches farmers’ organisations in Tanzania. He said recent attempts by the government to revive cooperatives, like the 1997 Cooperative Development Policy, were a failure. “The government has since the 1990s tried to revive the cooperative sector by introducing new policies, but the coops were already too weak and farmers had completely lost faith in them,” Mattee said. Ellman reflects on his time at Upper Kitete with great nostalgia. But he realises they face the problem all remaining agricultural cooperatives in Tanzania face — a lack of unity and insufficient resources to support the fast-growing population.